Today, I'm entering Memory Box's Rainbow challenge. 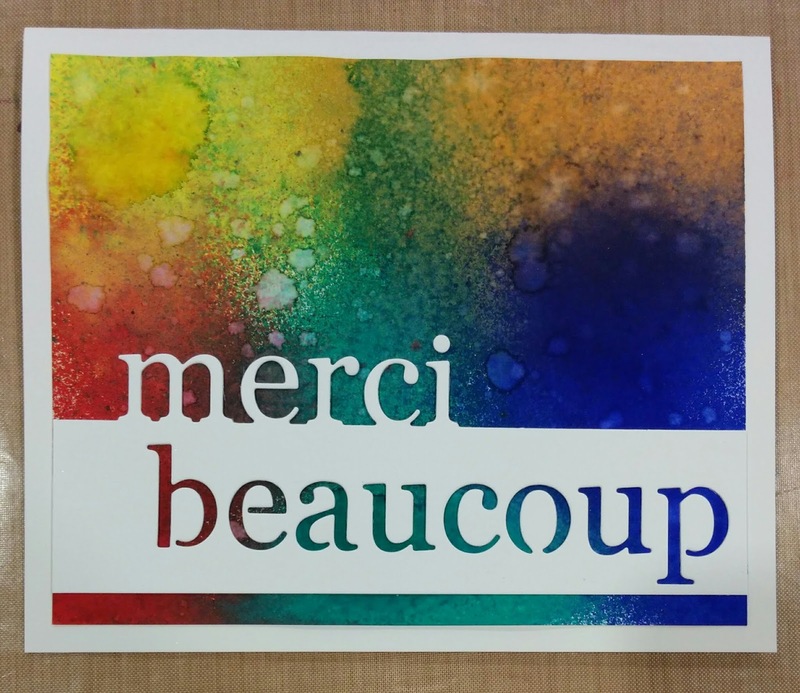 I made a card using Memory Box's Grand Merci Beaucoup die. I sprayed yellow, orange, red, teal and blue inks and then added some water drops for more effect. Thank you for your visit today. Please leave me a comment, I love to read them!